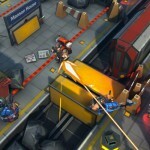 Instead of Words with Friends, publisher WarChest and developer Splash Damage are promising to bring a higher-caliber social gaming experience to the App Store when RAD Soldiers launches this summer. Announced today, the game is based in London after mysterious McGuffin rockets land, forcing a complete evacuation of the city. Shadowy figures have hired teams of mercenaries to find the rockets and the rewards that come with weapons. You are tasked with creating a squad of unique mercenaries with customizable weapons, outfits, and abilities. Your team then engages in humorous, tactical combat on a turn-based battlefield. 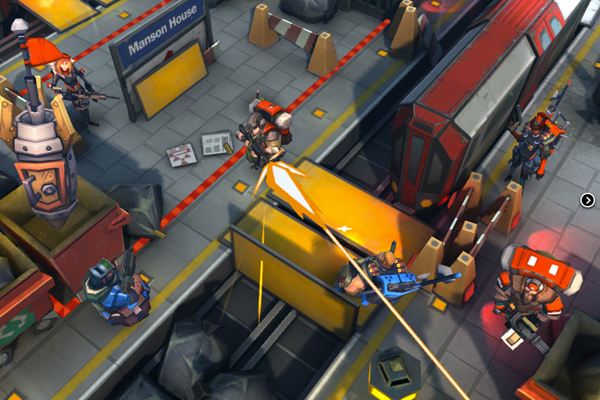 Players engage in battle offline against AI opponents or online against friends. You can get a better idea on the gameplay mechanics in the new teaser trailer for the game. Click here if you can't see the video. The game will be universally compatible with the iPad, iPhone, and iPod touch, and will hit the App Store in June. More importantly, the game will be free. WarChest Games is also promising a consistent stream of updates after the game is released with new maps, soldiers, weapons, and abilities. The title will also be Game Center and Facebook compatible. For more information about RAD Soldiers, and to reserve your in-game nickname, you can visit WarChest's website. The game definitely looks like fun, and I'm interested to try it out. Especially since you can't beat the price of free.